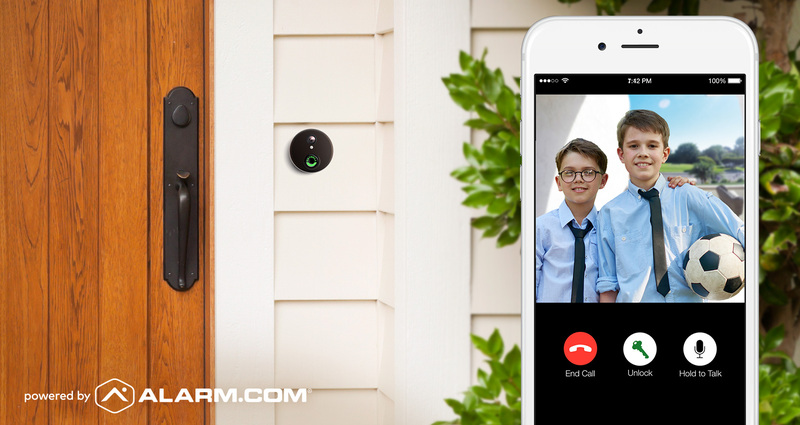 › LIVE MONITORING Monitor your front door at your leisure. › HEAR & SPEAK Two-way audio allows you to hear and speak with your visitor. › MOTION SENSOR Sends alerts even when a visitor doesn't press the button. › SNAP PHOTOS Capture a photo of your visitor. › WEATHER RESISTANT Durable in temperatures between -40 and 140 degrees F.
› QUIET MODE Turn off the doorbell chime. Safeguard Home Security is here for all of your Houston home security needs! Give our security experts a call today at 713-201-4232 to learn more about the products like the SkyBell and services we offer.